Three days of world class blues music, workshops, a dance floor, vendors, and a wide array of food and beverage choices! Find out more! CALL FOR ENTRIES! 2019 Marquette Area Blues Fest Logo Contest Open. 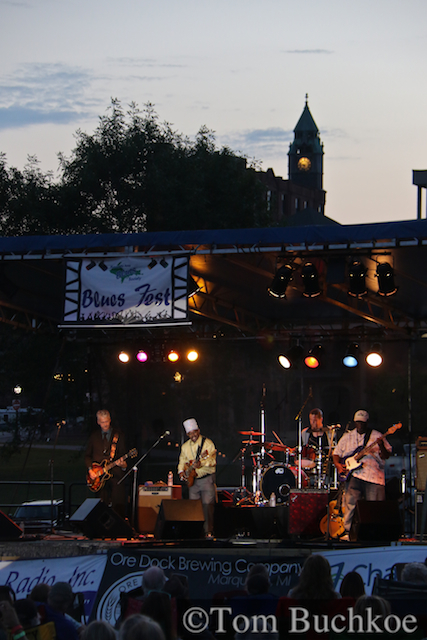 The Marquette Area Blues Society is seeking entries for its annual logo contest for the 16th annual Marquette Area Blues Fest, to be held over Labor Day weekend 2019 in Marquette. Area artists, students, and blues enthusiasts are encouraged to enter. One logo will be chosen as winner, and judges’ decisions are final. All submissions must be received by March 2, 2019. For more information and an entry form, CLICK HERE . VizzTone Label Group Recording Artist Amanda Fish Coming To Marquette For Free Show! Come out to the Ore Dock Brewing Co. and enjoy a soulful blues show from this up and coming artist. 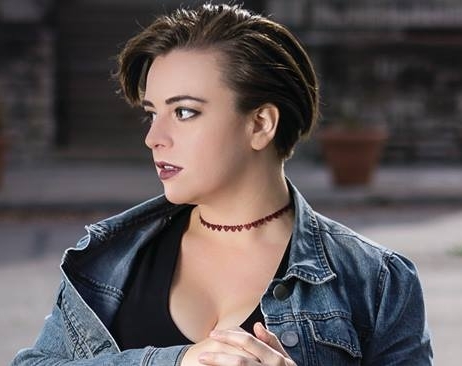 She is a 2019 Blues Music Award nominee for Best Emerging Artist, the 2016 “Sean Costello Rising Star” Blues Blast Music Award winner, and a semi-finalist in the International Blues Challenge in 2017. Don’t miss it! Trustees: Charlie Bastian, Dave Crum, Cindy Engle, Dave Goetsch, Lorrie Hayes, Tom Hyslop, Brian Jensen, Jeff Kallery, Larry Letts, Walt Lindala, Ed St. Aubin, and Andrew Tyler. 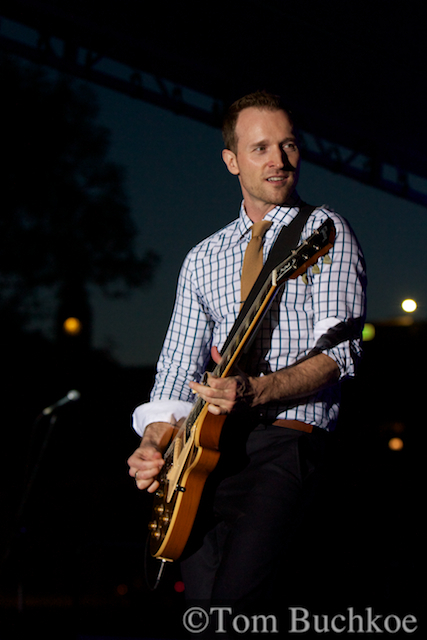 Walt Lindala was also appointed the 2019 Blues Fest director. The regular monthly board meeting time was set as every third Wednesday of the month at 6:30pm EST with locations to be determined. Reserve your rooms now for the 2018 Marquette Area Blues Fest at the Comfort Suites or Days Inn of Marquette. Thanks to the fine folks at the Superior Oasis at 2463 US 41 West in Marquette, there are a limited block of rooms available at discounted rates NOW! CLICK HERE to reserve rooms at the Comfort Suites. CLICK HERE to reserve rooms at the Days Inn. You can also call the Superior Oasis directly at (906) 228-0028 to reserve your rooms today! The Marquette Area Blues Society is pleased to announce the lineup for the 15th Annual Marquette Area Blues Fest. It’s happening Labor Day Weekend, Friday, Aug. 31st through Sunday, Sep 2nd, 2018 at Mattson Lower Harbor Park in downtown Marquette, MI . 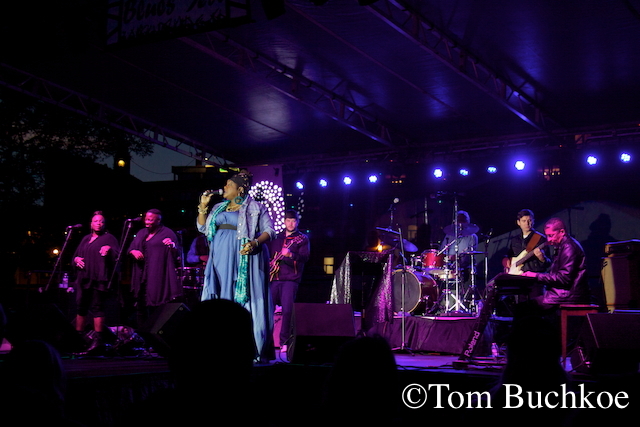 Thornetta Davis on stage at the 2017 Marquette Area Blues Fest. The Marquette Area Blues Society is seeking entries for its annual logo contest for the 15th annual Marquette Area Blues Fest, to be held on Labor Day weekend 2018 in Marquette. Area artists, students, and blues enthusiasts are encouraged to enter. One logo will be chosen as winner, and judges’ decisions are final. All submissions must be received by February 28, 2018.